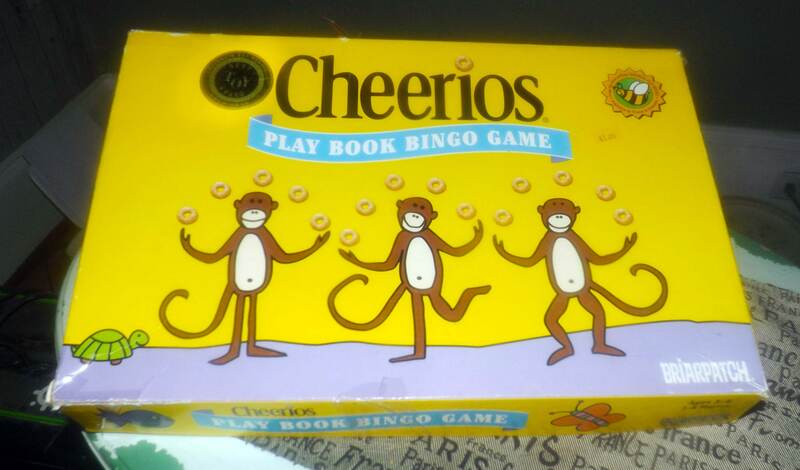 Vintage (1997) first-issue Cheerios Play Book Bingo board game. 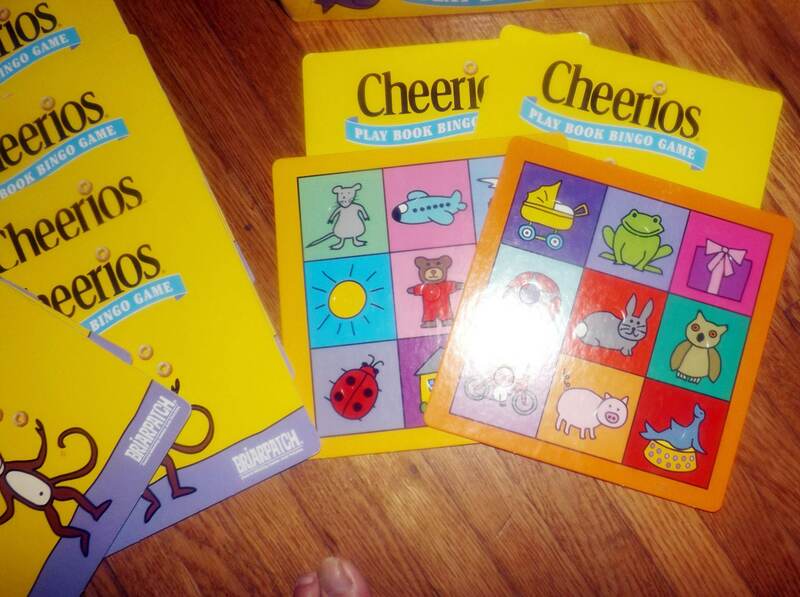 Toddler bingo image and color matching. Published by Briarpatch. Complete. 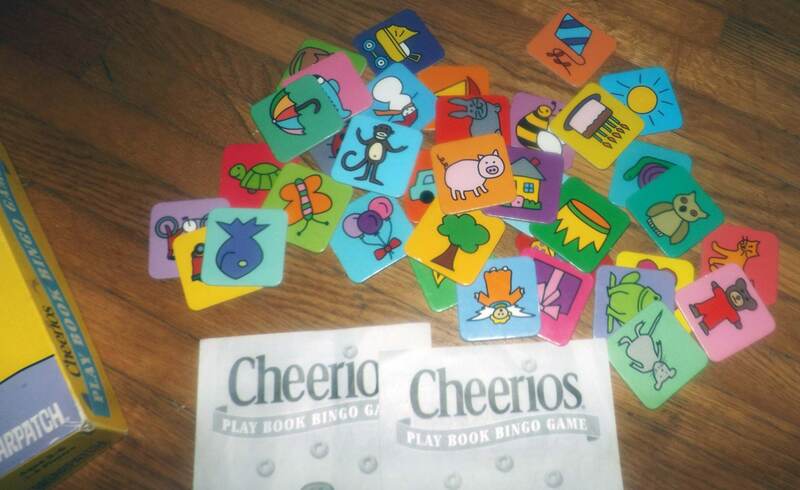 Vintage (1997) first-issue Cheerios Play Book Bingo board game. 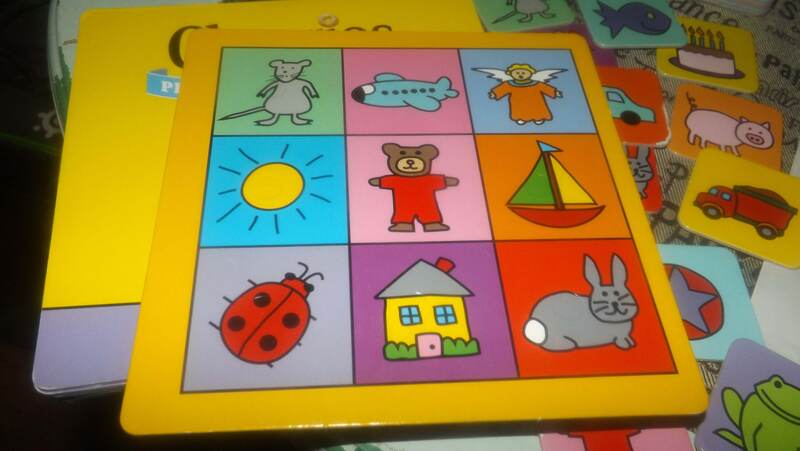 Toddler bingo image and color matching. Published by Briarpatch. 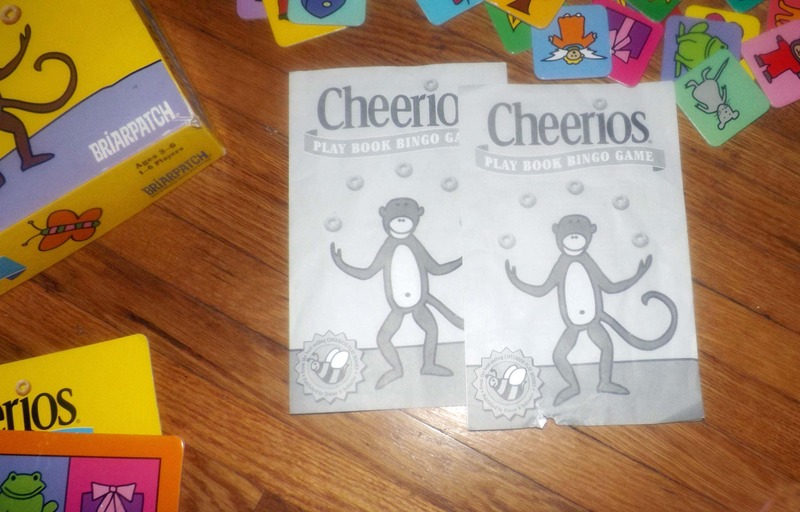 THIS GAME HAS BEEN INVENTORIED AND IS 100% COMPLETE WITH ORIGINAL INSTRUCTIONS. 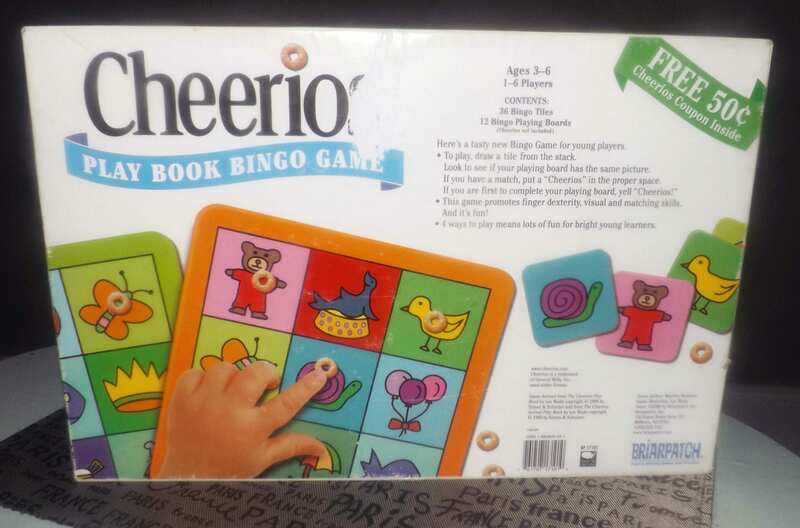 Game overview: Educational toddler bingo game employing color and image matching designed for children aged 3 - 6 years. 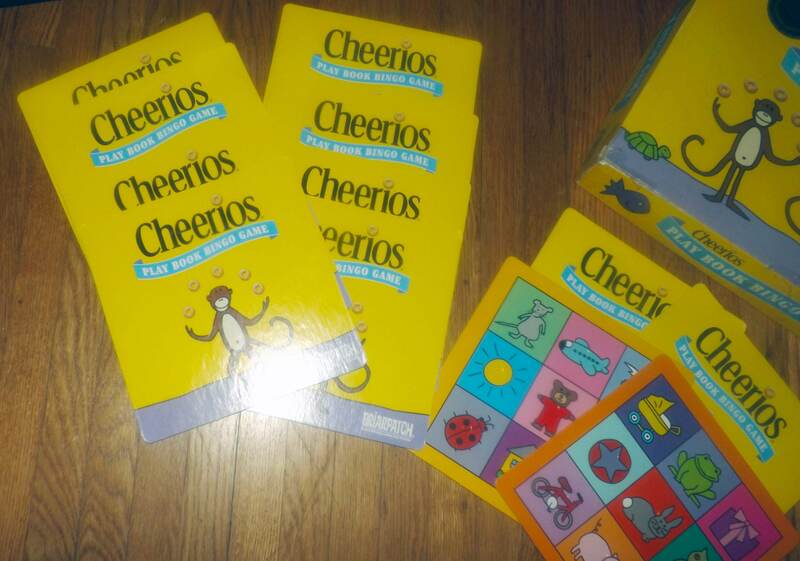 Cheerios Play Book Bingo Matching Game helps children to increase their vocabulary by putting their breakfast cereal playing pieces onto the corresponding noun. 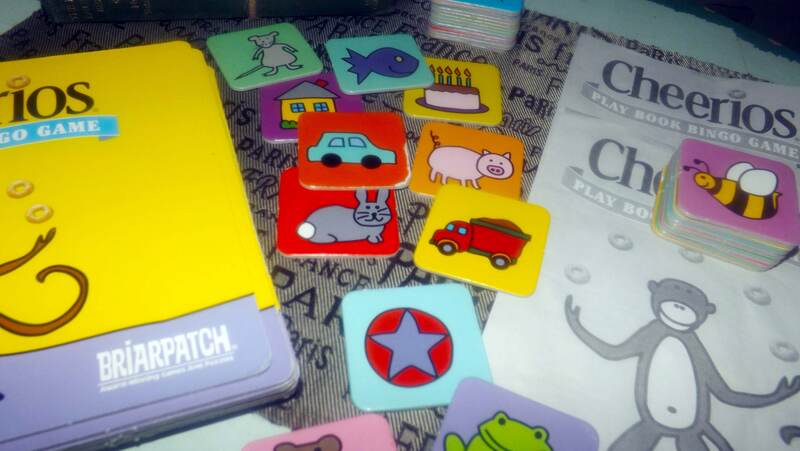 Children are also given matching tiles, so they can work on their color, shape and image matching skills, for a whole new depth to the game. 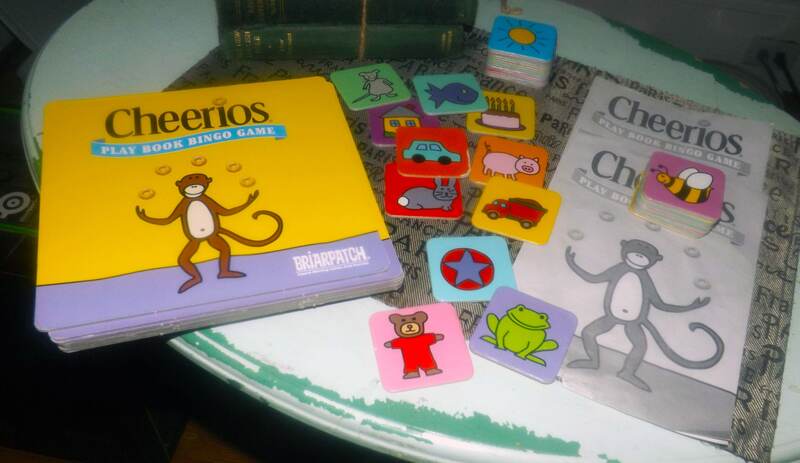 This game makes breakfast just a little more educational and a lot more fun and is fun learning experience for kids to play with mom and dad! The bingo cards and tiles are all in EXCELLENT! condition with NO! rips, tears or mangled corners and NO! fading of the imagery. The instructions are here and are clear and legible, also in EXCELLENT! condition. The game box shows MINIMAL! shelf wear and NO! torn or broken corners on either box top or bottom. There is some MINOR! wear | rub to the corners of the game box and there is tape residue on the sides of the lid. Game box graphics are clear and bright with NO! fading apparent and game box text is clear and fully legible.